We are entering the season of remembrance. Of course,all the world know that 31st October is Halloween when ghosts are said to walk the earth, but Halloween is short for All Hallows’ Eve, the day before All Hallows’ Day, more usually called All Saints‘ Day. That is what we will be celebrating at All Saints this Sunday, November 1st! The picture above shows some of my family in 1965 – the year before I was born. 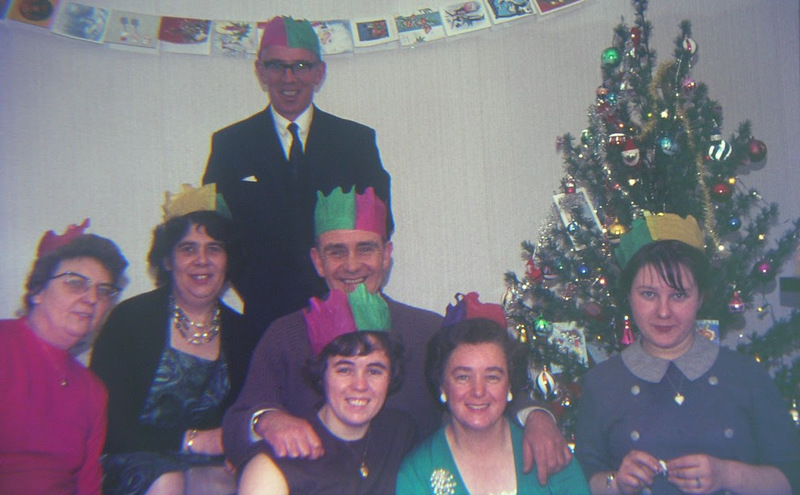 From the left are my Grandma, Auntie Eva, my Grandad Baxter, my Grandad Kelso, my Mum, my Grannie, and my Auntie Ju. Only my Mum and my Auntie Ju are still alive. On All Saints‘ Day we remember that we are surrounded by a “great cloud of witnesses” who have gone before. In many European countries it is the tradition to visit the graves of loved ones on All Saints‘ Day, but our forebears are scattered over the four corners of the earth. However, if you would like to bring photos of loved ones to place upon the altar this Sunday, please do so. Our services will be ones of joy as we remember and give thanks, and we will have live music at both services with Nancy playing at 9:15 a.m. and Anders at 11 a.m. Much thanks to them both. Our theme of remembrance continues the following week on Sunday 8th November when we mark Remembrance Sunday and remember those who have been victims of war. This combined service will begin at 10:30 a.m. and include two minutes silence at 11:00 a.m. On Wednesday 11th November, you are also invited to attend a short ceremony at the Chiang Mai Foreign Cemetery beginning at 10:30 a.m. organised by the Royal British Legion. This will be followed by lunch at the Gymkhana Club. Finally, a reminder that the first choir rehearsal for our Festival of Nine Lessons and Carols will be at 7:00 p.m. tonight, in the new band room of CMIS. Please be sure that Harvey has your name so that you can get into the school. Our readings for All Saints‘ Day are Wisdom of Solomon 3:1-9, Revelation 21:1-6, and John 11:32-44, and we will be singing the hymns For all the Saints, Sing with all theSaints in Glory, Lord when I came into this life, and Oh when the Saints! The readings can be found via this link! Our sermon is entitled Death where is your sting? We had a wonderful time celebrating our harvest festival at Thung Dong Farm. Altogether about thirty adults and children made the journey and the weather was beautiful! This week we are back in our own church and back to our two services at 9:15 and 11 a.m. The theme of this week’s worship is the call of God and the Gospel reading looks at the calling of blind man, Bartimaeus. 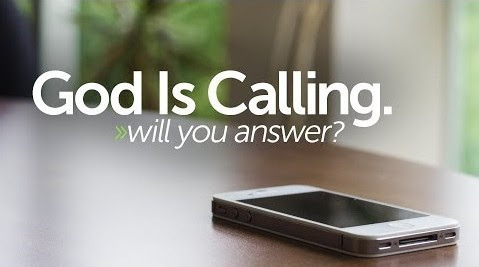 Our sermon is entitled Take heart, He is calling you! This week our readings are Job 42:1-6, 10, Hebrews 7:23-28, and Mark 10:46-52, and we will be singing the hymns All People that on Earth do dwell, Open my eyes and let me see, Jesus calls us o’er the tumult, and Guide me O thou great Jehovah! The readings can be found via this link! Just a reminder that this year we are holding our Festival of Nine Lessons and Carols on Saturday 12th December, beginning at 7pm. This will take place in the beautiful Prince Royal’s College Chapel. People interested in singing in the Choir please email Harvey at hnnich@gmail.com and indicate your interest. The first choir rehearsal will be at 7:00 p.m. next Thursday, October 29th, in the new band room of CMIS. Please be sure that Harvey has your name so that you can get into the school. Tenors are especially needed! If you know of one – tell Harvey! NO SERVICE AT ALL SAINTS THIS WEEK!!!!! This week there will be no service at All Saints, instead we will be celebrating our Harvest Festival at Thung Dong Farm. Please be at church for 9:15 a.m. Cars and a mini-bus will leave the church at 9:30 a.m. and we will spend the day at the farm. Our service will begin around 11:30 a.m. and we will share lunch together—which Warren has kindly provided. We should arrive back at church around 5 p.m. You can see more pictures and information about the farm at www.thungdongfarmstay.com It looks like a beautiful place! If you intend to go you should have already signed up – we have about 35 people so far! If you are a last minute person – email me now on iain@AllSaintsChiangMai.com to see if we have room! It should be a memorable day! Other events coming up include Remembrance Sunday on November 8th. We will have a combined service, beginning at 10:30 am which will include 2 minutes silence at 11 am to remember victims of all wars, past and present. 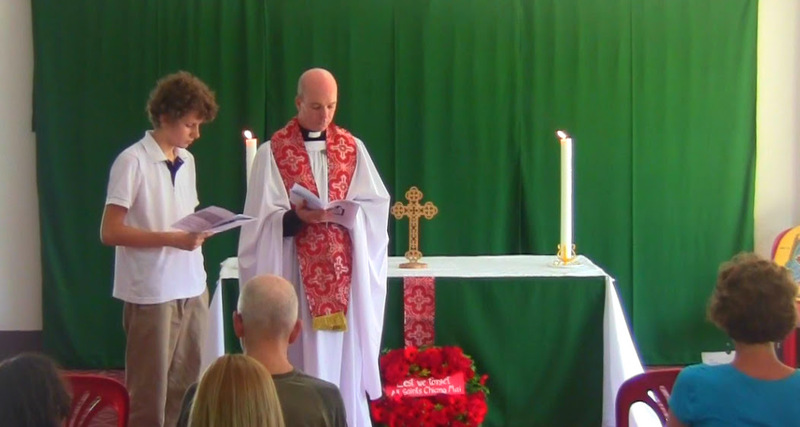 Then November 11th is Remembrance Day, when there will be a short ceremony at the Chiang Mai Foreign Cemetery, also beginning at 10:30 am, organised by the Royal British Legion. This will be followed by lunch at the Gymkhana Club. Everyone from All Saints is welcome to join. This year we are holding our Festival of Nine Lessons and Carols on Saturday 12th December, beginning at 7pm. This will take place in the beautiful Prince Royal’s College Chapel. People interested in singing in the Choir please email Harvey at hnnich@gmail.com and indicate your interest. The first choir rehearsal will be at 7:00 on October 29th in the new band room of CMIS. Please be sure that Harvey has your name so that you can get into the school. This week our readings are Joel 2:21-27, 1 Timothy 2:1-7, and Matthew 6:25-31, and we will be singing the hymnsCome Ye Thankful People Come, For the Fruit of all Creation, Now Thank We all our God, and We Plow the Fields and Scatter! Our sermon is entitled What a Wonderful World! Not good to be alone! In a strange coincidence, our two notices also have a garden or animal theme: Firstly, the Friends of the Chiang Mai Foreign Cemetery would like volunteers this Saturday to help in their gardening work, contact me if you are interested. Secondly, it is now just over two weeks until our Harvest Festival on Sunday 18th October at Thung Dong Farm. Please sign up this week if you intend to come. There will be no service at All Saints on that day, instead we will leave the church at 9:30 a.m. and spend the day at the farm. Our service will begin around 11:30 a.m. and we will share lunch together—which Warren has kindly provided. We should arrive back at church around 5 p.m. You can see more pictures and information about the farm at www.thungdongfarmstay.com It looks like a beautiful place! This week our readings are Genesis 2:18-24, Hebrews 1:1-4, 2:5-12, and Mark 10:2-16, and we will be singing the hymns Alleluia Sing to Jesus, Called as partners in Christ’s service, Let us break bread together, and Lift High the Cross. The readings can be found via this link.